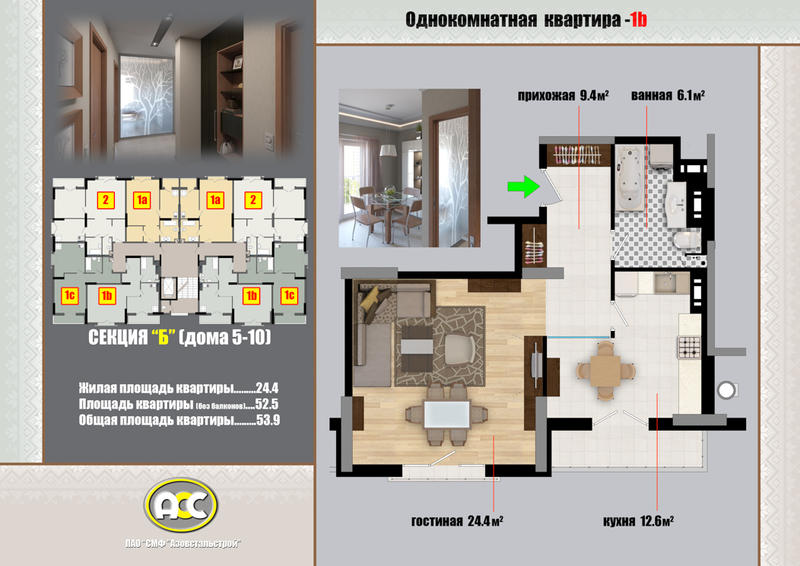 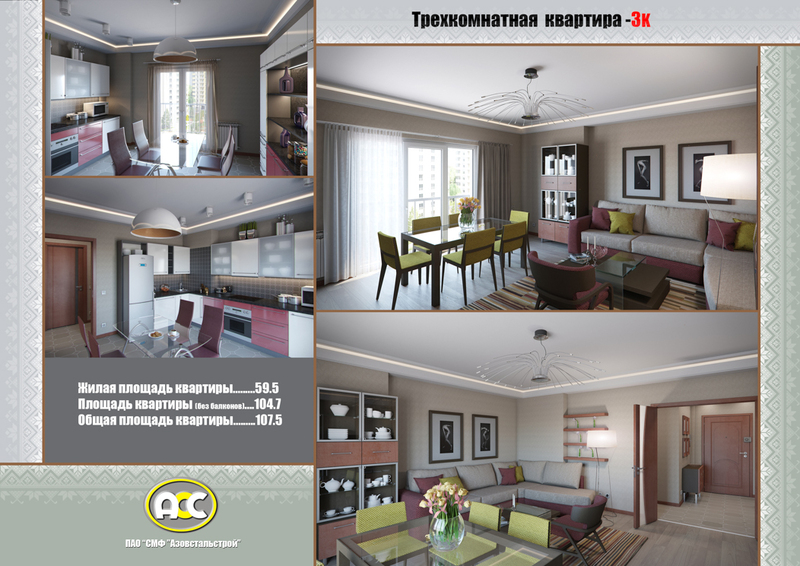 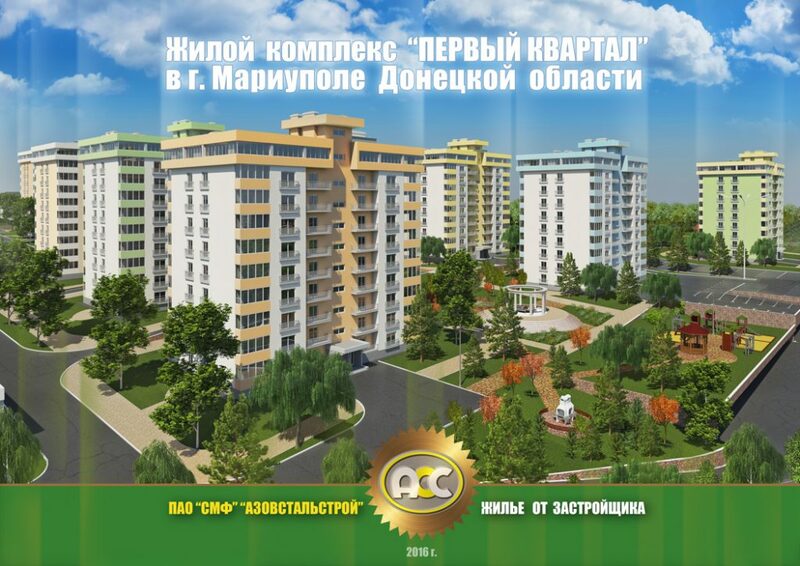 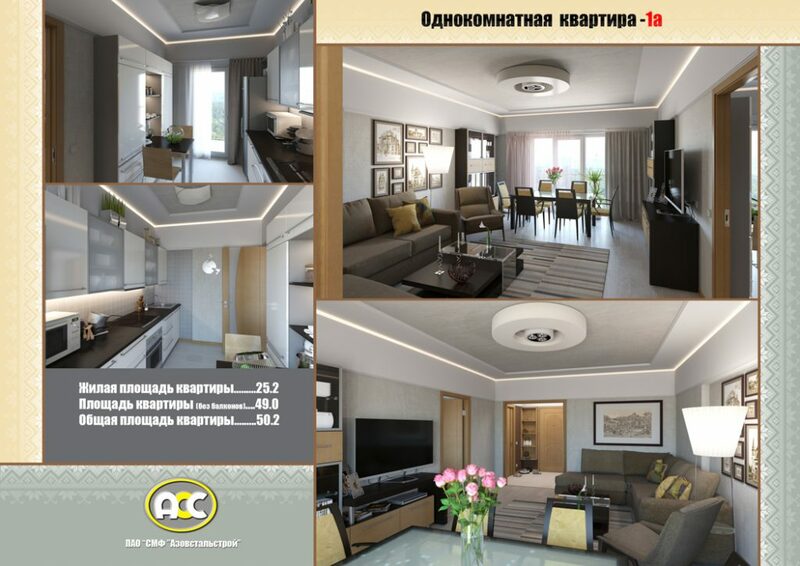 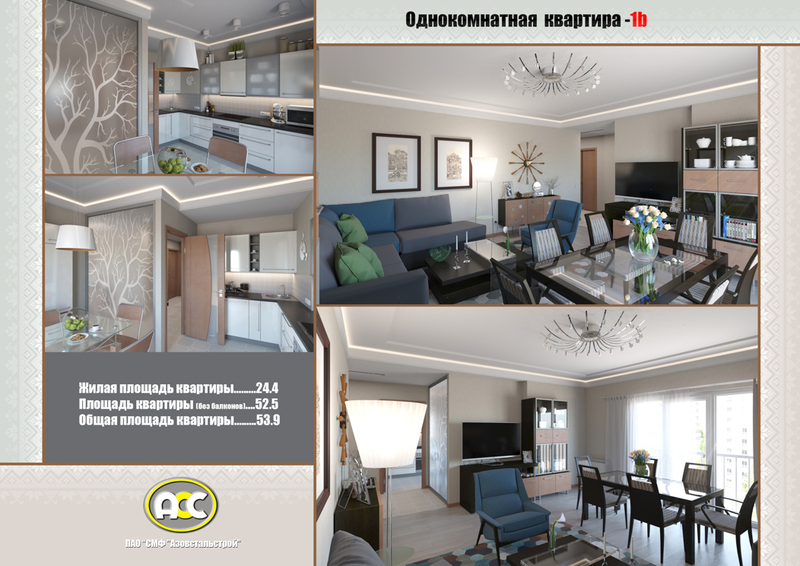 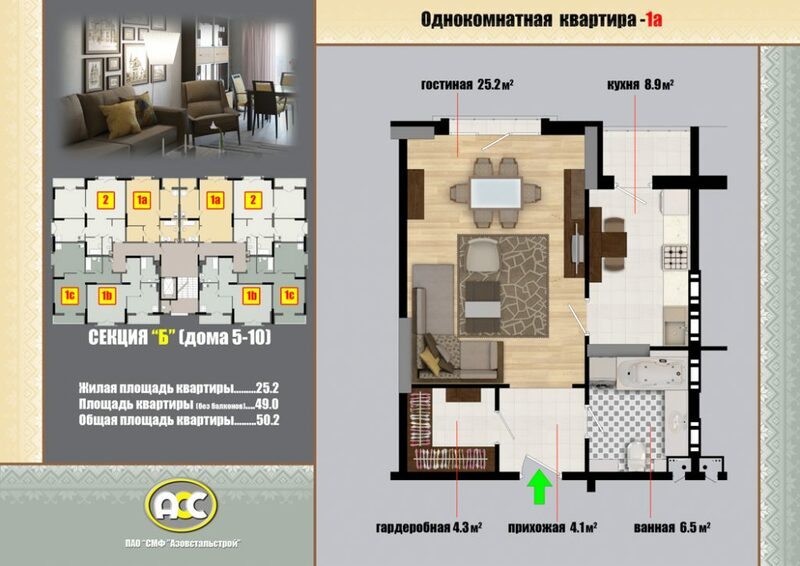 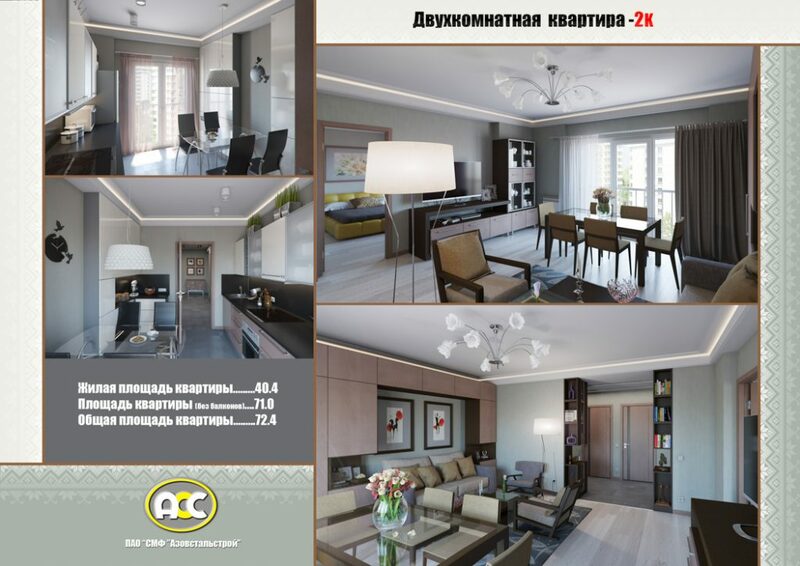 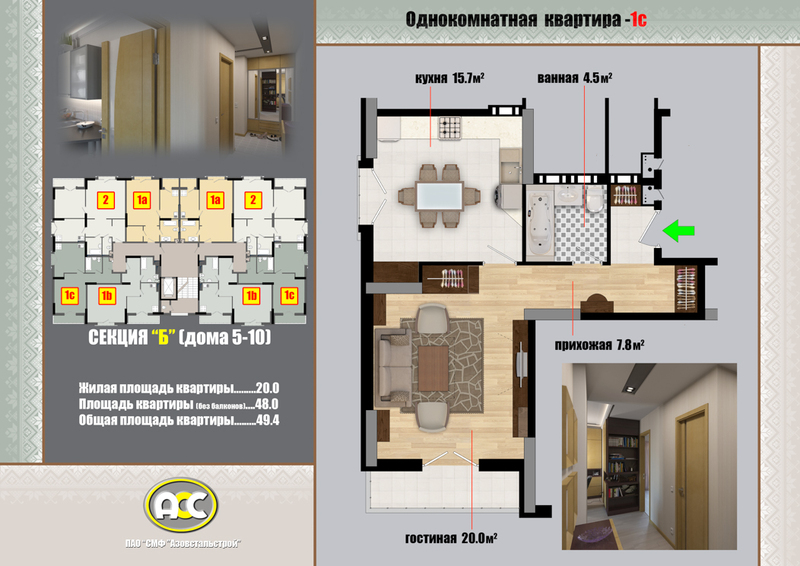 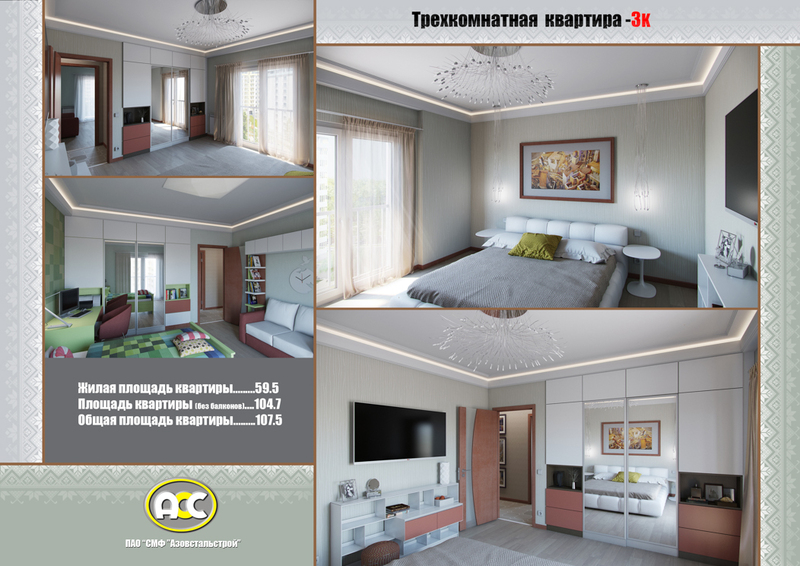 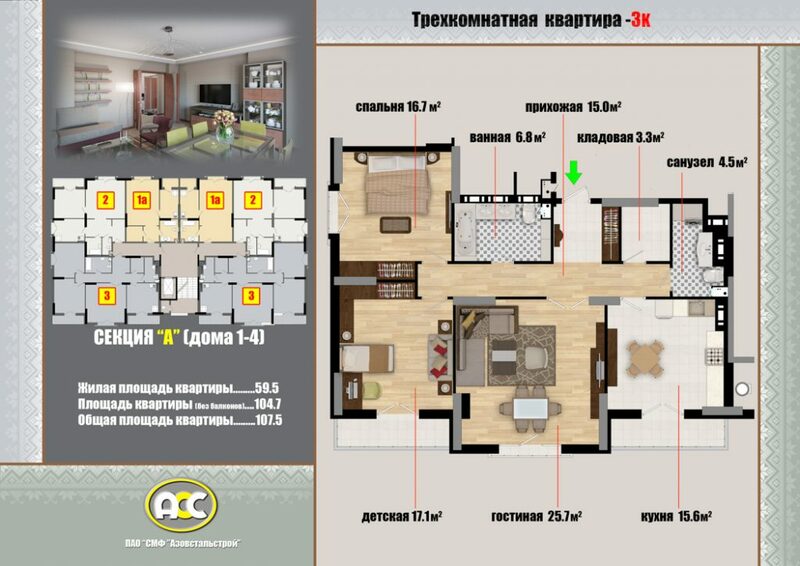 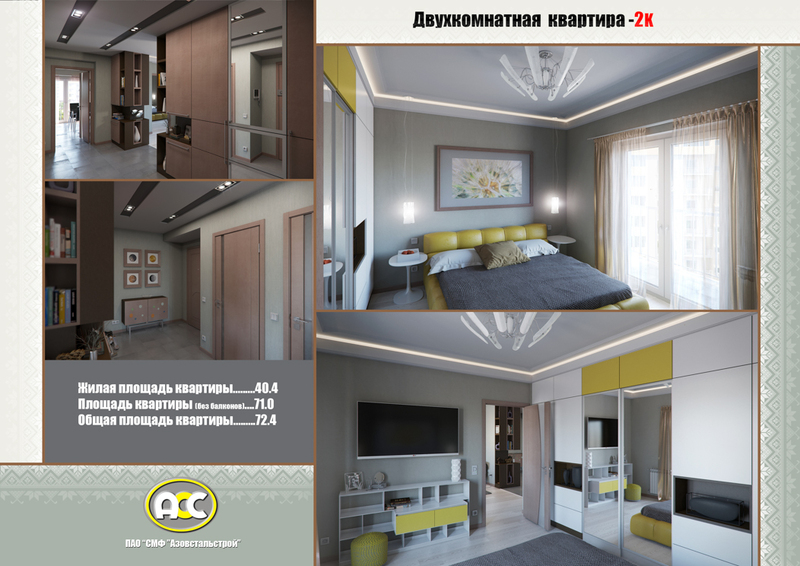 Residential Complex “First Quarter” – Проектно-строительная компания "Азовинтэкс"
To provide residents of the city of Mariupol in the Donetsk region with modern and affordable housing, Public Joint Stock Company “Construction and assembly firm” Azovstalstroy “together with the Limited Liability Company “Design and Construction Enterprise “Azovinteks” started construction of a residential area of nine-storey residential buildings in the central part of the Left Bank district City of Mariupol. 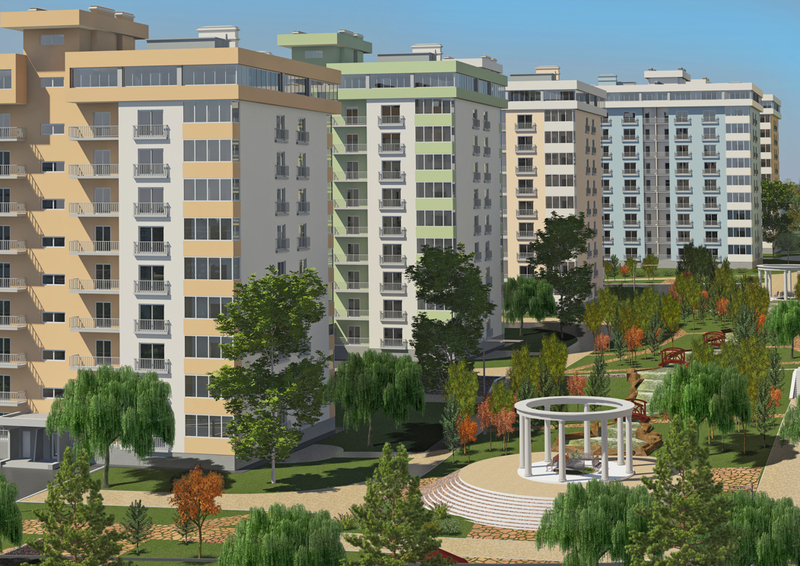 The project provides for the construction of 630 apartments of improved planning, including 360 one-room apartments, 180 one-bedroom apartments, 90 three-bedroom apartments. 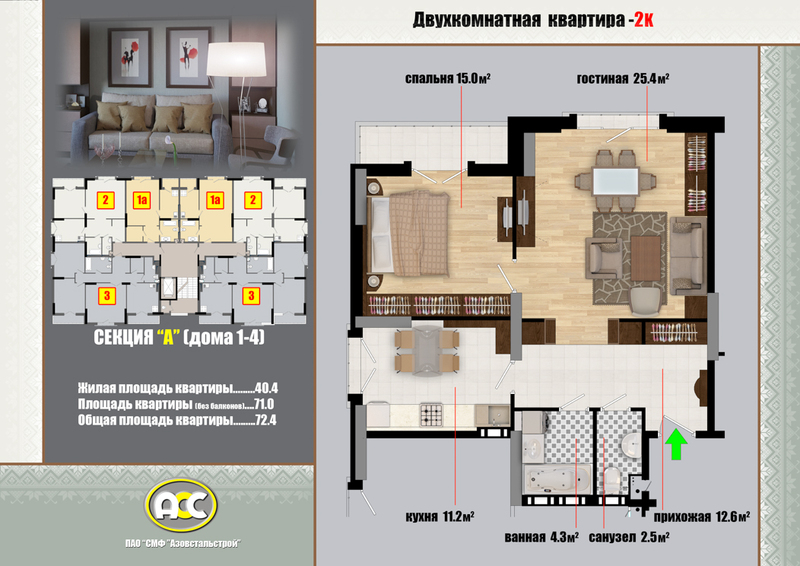 The total area of the project is 42,625 m2. 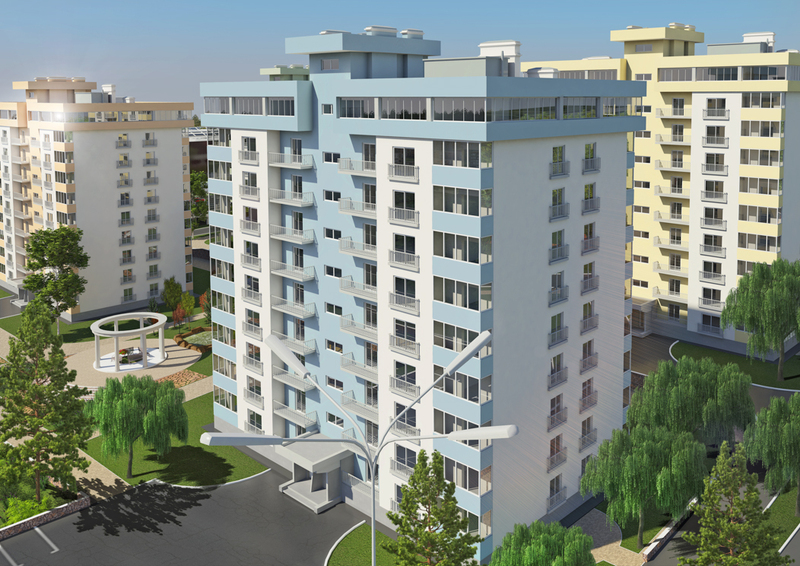 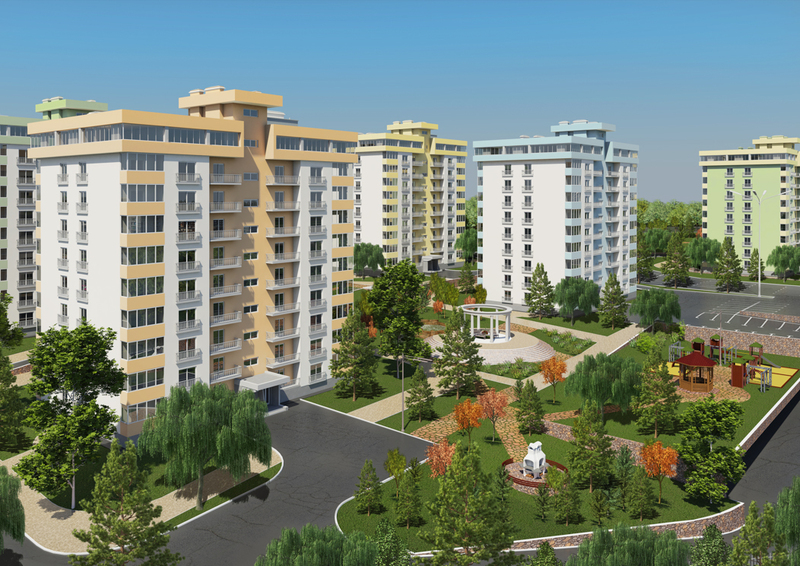 Residential community is located in the central part of the Left Bank district of Mariupol with a developed infrastructure. 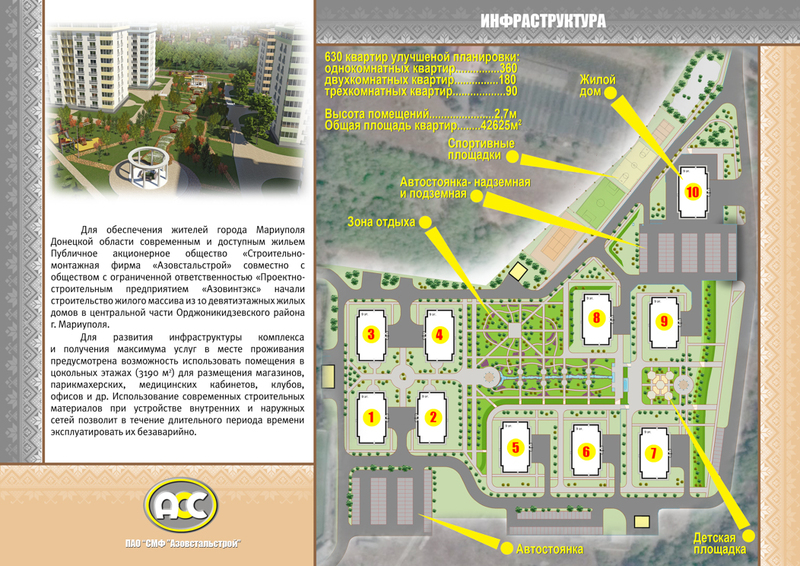 In the immediate vicinity of the complex under construction are the supermarket Silpo, a chain of shops, a hospital, kindergartens, a school, a park. 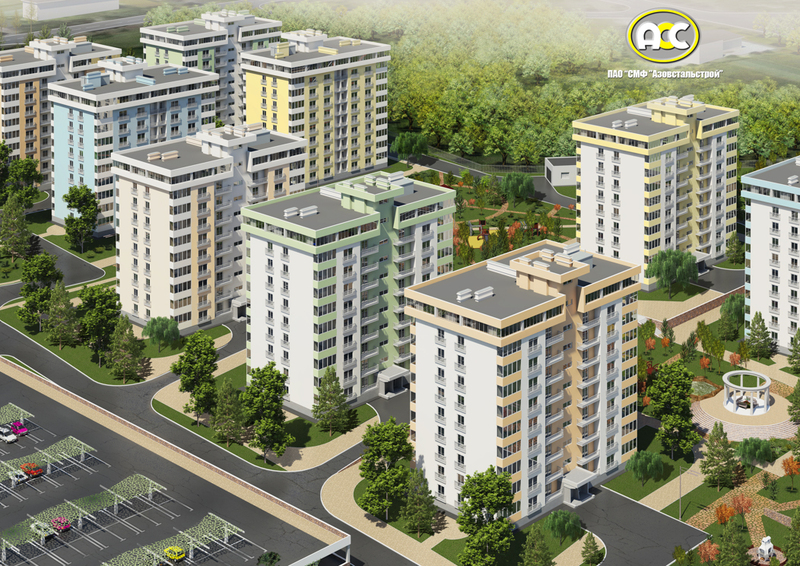 Residential community is located between the main city transport routes – trolleybus and tram lines, bus routes, which will allow future residents of the quarter to reach any part of the city in a short time. 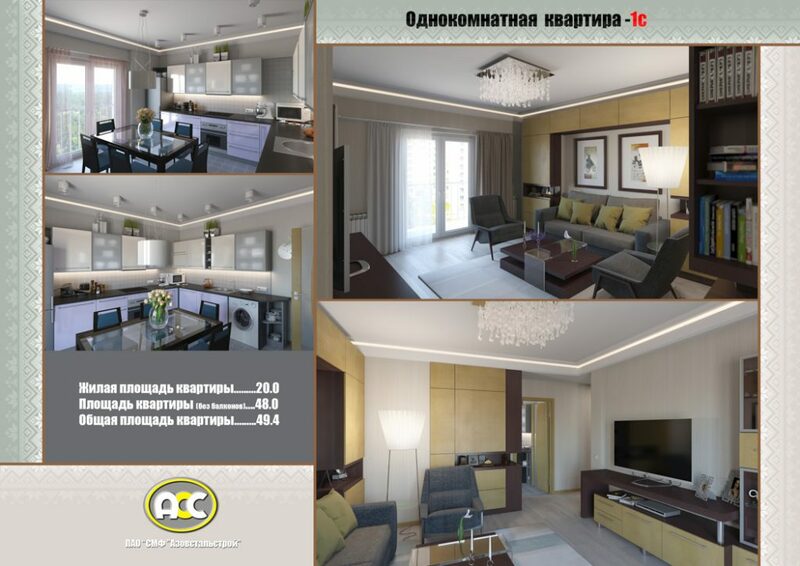 To develop the infrastructure of the complex and obtain the maximum services in the place of residence, it is possible to use the premises in the basement floors (3190 m2) to accommodate shops, hairdressers, medical offices, clubs, offices, etc. 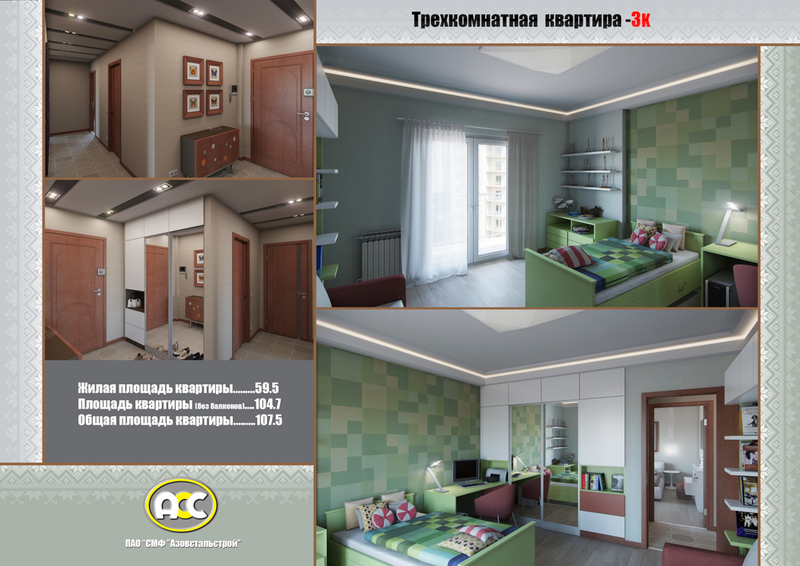 The use of modern building materials for the construction of internal and external networks will allow for A long period of time to exploit them accident-free. 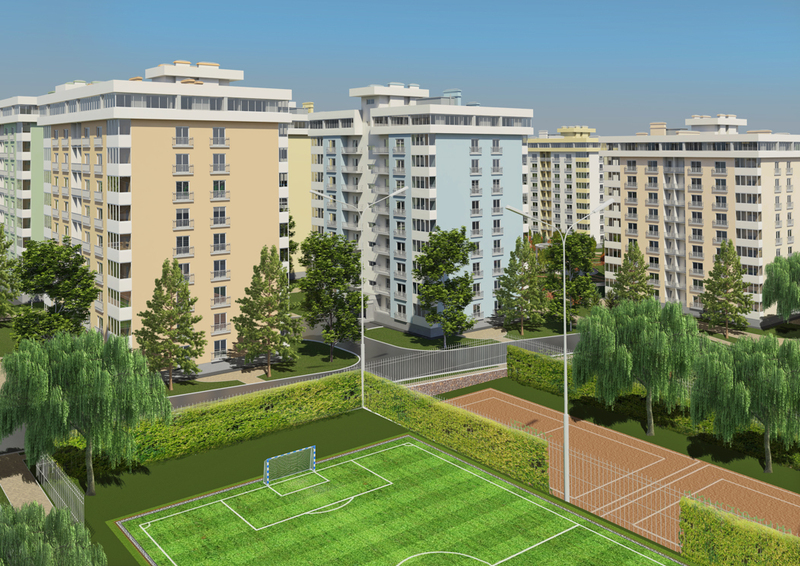 The territory of the housing estate will have a developed network of driveways and sidewalks to each house, car parking lots, including underground parking. 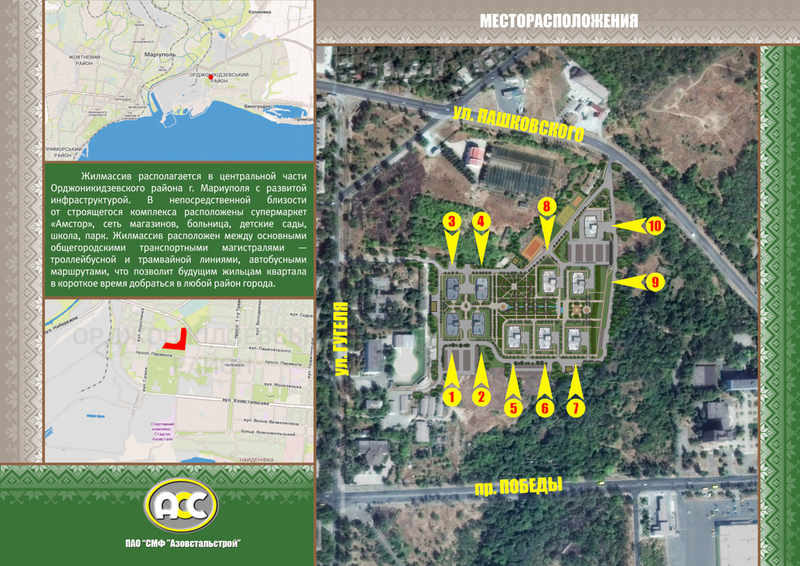 There are grounds for recreation for adults and children, sports grounds, a large area of the complex is given for gardening.